-Seeing a pink and orange sunrise from the on-call room window. -The man who passed me in his car smoking a long, dramatic pipe as he drove. It made me laugh. 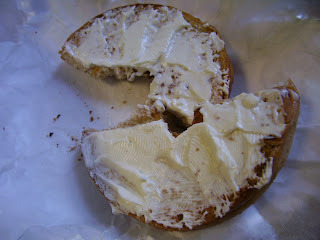 -A delicious bagel with cream cheese and being greeted by name at the coffee shop. -Finding out that I'm able to be off work enough to stay for all of my family reunion at Mo Ranch in Texas this summer. -Dancing around my apartment to "Selfish Jean" by Travis. Living alone really has its perks. -Walking through the cool rain and the warm night air to get to my car. a first, a hug and beauty. -The patient who said he had never seen a female chaplain before. I then expected him to be not too fond of the idea, but then he said, "That's awesome!" -A hug from Dorothy, a woman who cleans at Grady. We've spoken several times, but yesterday we told each other our names and she said, "You're so sweet. Let me give you a hug." ...And right in the middle of the hallway, she did. 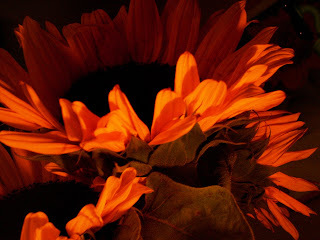 -Playing around with my camera and taking pictures of my sunflowers (still lovely) by candlelight. The pictures had a depth and color I didn't expect. I love how the fuzzyness of the stem and leaves shows. It's funny how different light (darker even) can bring out colors and shadows that are more beautiful than constant sunlight. Hmm...kind of like life, isn't it? When we go through dark times or help others through them, we discover depths of beauty we didn't notice before in us and others. -Free coffee. A nice family at church gave me a gift certificate, so my hazelnut latte was free. 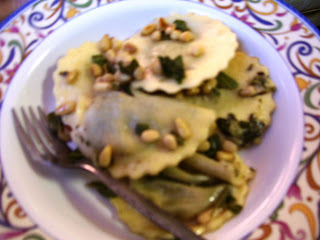 -Making one of my favorite pasta dishes: spinach and ricotta ravioli with sage butter and pine nuts. It was so delicious, and warmed me up after getting caught in the rain. 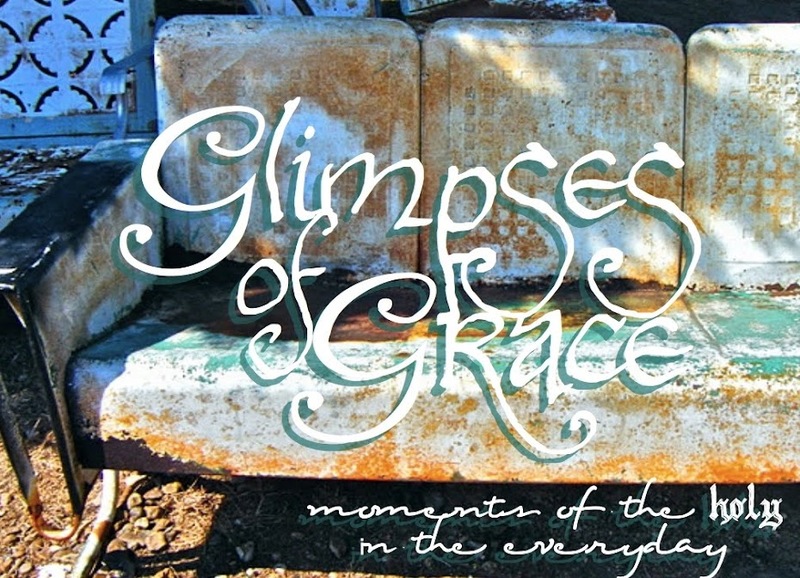 -The song "Heavenly Day" by Patty Griffin. -Going to church and being greeted warmly by people I haven't seen in a little while. It was also really nice to just worship, and not be in charge of leading anything. -The relief and joy I felt after giving the keynote address at Rob's camp. It was really fun and the kids seemed pretty responsive. -The cool air of North Georgia. I had my windows down as I drove, and the recent rain and higher altitude made the air almost cold. It was delightful. -Being on-call at the hospital last night, and not getting a single call. Not one. This means that I was able to get some sleep and work done, and more importantly, that no one passed away during the night there. 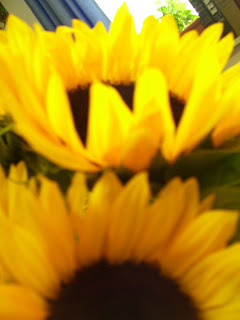 -Lovely huge summery sunflowers to brighten my apartment. 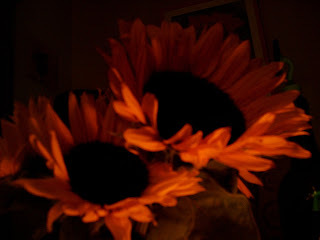 -After buying the aforementioned sunflowers, I smelled something being grilled outside of Kroger, and walked over. Children's Healthcare of Atlanta was selling hamburgers and hotdogs as a fundraiser, and I got the most delicious hot dog for $1 (I get that craving from my mother). -A great mail day. 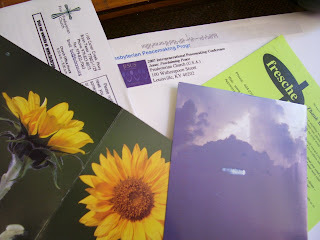 I received a church newsletter, my Peacemaking conference info, a sunflower postcard from my Grandmother, a postcard from Karen when she was in Israel and a haircut discount coupon. -Grocery shopping. Most people hate it, but I love it. I went to a larger than normal Kroger, and loved the different options I found there: instead of plain fresh pasta, I found organic spinach ravioli and instead of spinach, I found baby arugula. -Sitting outside with friends to celebrate the first day of summer. The conversation was relaxing, the smores made with dark chocolate were unbelievably delicious and the glow of lightning bugs was perfect for the occasion. -Playing a game of "would you rather" with Nicole and Sara at lunch, and laughing hysterically several times. A little comic relief at Grady is never a bad thing. -Having dinner with my good friend and former campus minister Kyle, because he's in town for a Columbia D.Min. course. It was great to discuss things from college and things from seminary, weaving together my past and present. -The tiny dove Arnie has painted on the bulletin board near the word "peace." -Sitting with a hilarious 82-year-old woman who loves Chuck Norris movies, baseball and soap operas. -The glossy shine of rain-covered leaves. -A million tiny bubbles that form the froth on the top of my cafetiere/french press coffee. -The woman who, during the Sunday worship service at the hospital, spontaneously began singing old gospel hymns. -Seeing a deep, deep love expressed as a woman mourned the loss of her 96 year old husband. -Sleeping in my own bed, without fear of a pager going off. -Treating myself with Turkish takeout: yummy chickpeas with garlic and spinach and basmati rice. It was so delicious, and I was thrilled to discover that they gave me a whole extra takeout container full of pita bread. -Laughing with friends last night, and realizing just how badly I needed a good laugh. 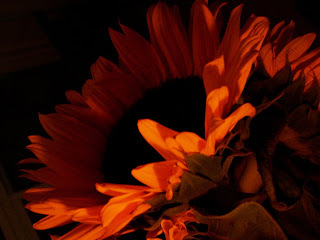 -Sunlight from some phantom source dancing gently around my room when I opened my eyes after sleeping in. -Finding my car keys that have been missing all week. -Beverly's generous spirit, wisdom and joy. Our conversation lifted me up in so many ways. -Driving home after a deafeningly-loud concert with my radio off. 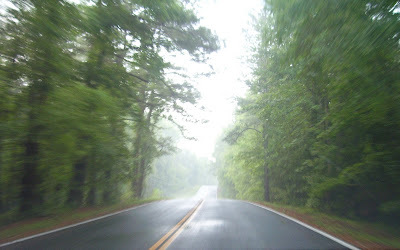 The only sounds were the tires on the road and the cool evening air whipping in and out of my window. -A patient spontaneously hugging me after I prayed with her. -A little girl giggling loudly as she skipped down the sidewalk beside her mother. -A ray of sunlight caught in the misty early morning. -Bonding with my co-workers through sarcasm. We have similar senses of humor, and this makes such an intense job a little bit easier. --Running into a woman in the hallway who I visited last week, and having her tell me with a big smile on her face that her sister is doing much better. take care, breathe and love. -The hauntingly beautiful voice of Katie Herzig at Eddie's Attic last night. I even bought her latest CD, so as to continue to be haunted by her music. -Intentional relaxation. For me, this was making delicious blueberry pancakes for a late breakfast and then making yummy fusilli pasta with potatoes, homemade pesto and fresh green beans. It was a pleasant addition that Catherine joined me for dinner. 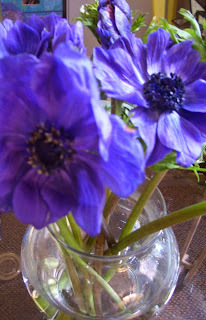 I also decided that nothing would relax me more than bright blue flowers on my coffee table, so they came home with me from the Farmer's Market along with my potatoes, pasta, basil and green beans. -The way Sandra closed an email: "take care, breathe and love." If I do nothing else this week, I hope I do those things. -Light striking the edge of my mirror at the perfect angle to create a rainbow prism. It was the last thing I saw as I drifted off to sleep. -Getting a personal pep rally from my friend Ian. I explained to him how my work at the hospital this past week has been the hardest thing I've ever done and that it's going to be a very stretching summer. I said that I could've chosen a much easier CPE placement, but for some reason I chose Grady, and on top of that, requested to chaplain the HIV floor. He said, "But that's what you do, Whitney. You don't jog, you rock climb. You didn't go straight from college to seminary, but instead worked in Belfast for a year. You always go for the hardest challenge." It was nice to be reminded that this is what I do, and that the Strength that helps me climb (although it's been ages) and helped me face challenges in Belfast will help me through this summer. I wonder if this is why I dreamed of rock climbing and patients all in the same night. 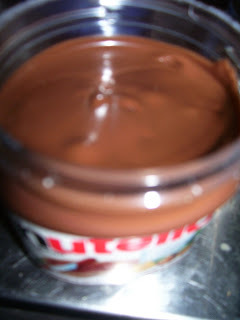 -A brand-spanking-new tub on Nutella. I love how the chocolate spread is perfectly swirled and smooth after I peel back the seal. -The social worker kindly calling me "sweetie" as I got called minutes after just being with a family. She said, "Sweetie, we need you down here again." Normally I don't particularly like being called sweetie, but last night, it was a guesture of comfort. -Being outside in the afternoon and finally noticing summer. I'm normally working inside all day, and hadn't noticed how warm it's become. -Sleeping for four hours straight in the middle of the afternoon after being on-call all night and knowing I've earned it. 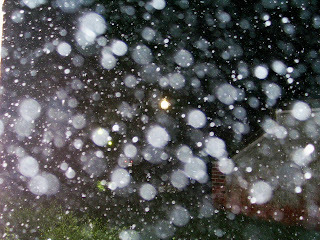 precipitation, illumination and releasing frustration. 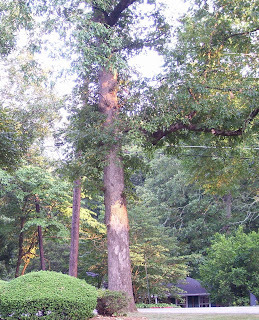 -Sunlight turning parts of a tree golden. -Being with such close friends that, unbidden, the stress and anxiety of my day was released. -Laughing really hard as a woman I visited described to me the bizarre happenings in her CPE internship experience. -A conference call with eight other people all over the U.S. that began with nine confused-sounding "Hello?"s. It took us a minute to realize that we couldn't all speak at once. -Seeing one patient share his faith with another patient. Both men were deeply moved by the experience. -Seeing Cheryl get ordained. It was a great service, and Walter Brueggemann even preached. Something he said really stuck with me, because I've been hearing it a lot. He said that we are called to be a non-anxious presence in a world marked by anxiety and fear. I think this is a lot of what I'm called to do and be at Grady. 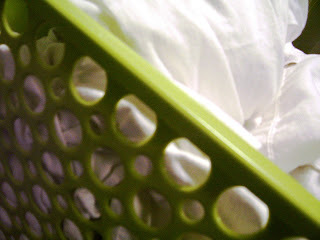 -The smell of clean laundry. -A big splat on my window as a large raindrop fell. -Hearing wonderful news from home. 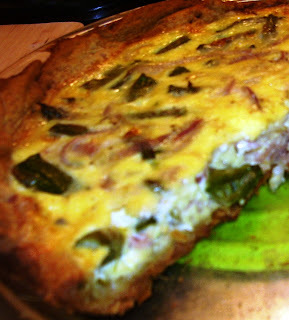 -Inventing a quiche simply by taking things I love (asparagus, smoked gouda and proscuitto) and putting them together. The result was delicious. -When I went to rent a couple of movies, the one I wanted to see wasn't on the shelf. The woman at the front found me a copy that had just been turned in, plus noticed that I had a free movie credit and a dollar off credit on my account. I left with two great movies, only one of which I had to pay for at a reduced rate. I've started working as a chaplain in a hospital for the summer, and encounter many glimpses there, but for obvious reasons am not able to carry a camera with me and take pictures of them. So, many of my summer posts will probably be picture-less. Just letting you know! -Wiping tears from a woman's eyes as she finally let out all of her frustration. -Joking about what chaplains should wear in the hospital (liturgically colored robes for example) with the other chaplain interns. Joking is surely a sign of a good team forming. -Talking with a patient about how, with his lovely view of the city, his hospital room was like a hotel, except you have to feel bad to get in. He loved that idea, and kept repeating, "you gotta feel bad to get in, and you gotta feel good to get out" and laughing.